With feed prices scrutinized in all production animal systems, it may be tempting to use low quality feed or forage supplies in beef cattle, dairy and swine nutrition programs. It is important to recognize risky feeding situations and to be familiar with the potential impacts of feeding moldy feedstuffs. Mycotoxins cost American agriculture upwards of $2.5 billion annually. Since their first discovery, more than 200 different feed ingredient toxins have been documented. The FDA Center for Veterinary Medicine focuses on five major mycotoxins in the U.S.: aflatoxins, fumonisins, vomitoxin, ochratoxin A, and zearalenone. Even though beef and dairy cows have some capacity to protect themselves against the harmful effects of mycotoxins, these substances are still a menace to ruminants. The occurrence of mycotoxins in feed is very often connected to increased incidences of metabolic disorders such as ketosis, retained placentas, displaced abomasum, mastitis, metritis, lameness, elevated somatic cell counts and consequently, decreases in milk production. The presence of T-2 toxin in cattle feed can result in gastroenteritis and intestinal hemorrhages. T-2 toxin has also been related to feed refusal, gastrointestinal lesions, bloody diarrhea, low feed consumption and decreased milk production. I consult with farmers every day who are tempted to use moldy feed or forage supplies. However, it is important to recognize risky feeding situations and to be familiar with the potential impacts of feeding moldy feedstuffs. The problem is, you don't always know feed is contaminated with mycotoxins, as the feed doesn't always have to look moldy. So, looking out for the symptoms, using approved mycotoxin binders or less expensive, high-quality anti-caking agents, properly drying grain and good bin hygiene are just some of the things that limit the effect of mycotoxins. Besides, they are extremely cheap insurance that can quickly be recovered in high performance, better grade and more milk. Mycotoxins are invisible, odorless and cannot be detected by smell or taste, but can reduce performance in animal production significantly. Mycotoxins are not necessarily produced whenever feed or forage becomes moldy, but evidence of mold indicates a risk of toxins. Fungi growth may also be present but undetectable upon casual observation. As feed passes more quickly through the rumen of modern dairy cows and beef cattle due to higher feed intake, rumen microbes have less time to detoxify mycotoxins. The combined factors of intensive production demands, incompetent rumen microflora action, nutritional imbalance and mycotoxins in the feed are key factors that allow mycotoxins to escape detoxification and be absorbed by the intestine. Most mycotoxins, including aflatoxins, zearalenone, ochratoxin, fumonisins, T-2 toxins and DON, form on grain, seeds and forages in the fields, but they also may be produced during harvesting, processing, transportation and storage of feed ingredients. Fungal metabolites may be present in feed, even in the absence of visually or actively moldy feed. As a result, a constant risk of exposure of mycotoxin-producing molds exists most anytime animals are fed. We utilize a product called Flow-Pro® as our proprietary dry anti-caking agent. This is a mineral product containing a proprietary blend of calcium silicate mineral. When properly mixed, this specific product has the ability to target fungal metabolites present in animal feeds. In Texas, this product is sold as UltraTerra-60®, an approved aflatoxin mitigant. The fact that it is an approved mycotoxin mitigant gives us the confidence to recommend it wherever mycotoxins are a problem or concern. It is the purest calcium silicate on the market and contains the highest binding capacity for aflatoxin at 99.7% and a Qmax of 0.44 mol/kg. Numerous beef and dairy producers throughout the U.S. and internationally have been using these products to cost-effectively manage mycotoxin exposure over the past three years. The best control is the prevention of mycotoxins in the field, which is supported by proper crop rotation and fungicide administration at the right time. In the case of toxin manifestation, measures are required that act specifically against certain types and groups of toxins. Adsorptive compounds and anti-caking agents can be used for reduction of potency of mycotoxins in general and should be used according to labeled directions. 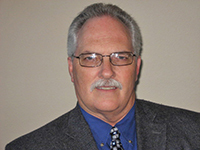 Dr. Jimmy Horner holds a Ph.D. in Ruminant Nutrition from Texas A&M University and a M.S. in Animal Science from Oklahoma State University and has been consulting and teaching animal nutrition for more than 30 years. Dr. Horner can be contacted at jhorner@protocoltech.net.